Want to learn about wine? Let SommEvents arrange the perfect event for you. At SommEvents, we bring the world of wine to you and your events. At SommEvents, we can help you retain your clients by creating a unique, tailored, and truly sensory experience. Once your glass is poured, hold it by the stem, so as not to mask the colour of the wine and to avoid warming it up. To evaluate the opacity and the intensity of the colour of the wine, hold it up at eye level and to the light, or against something white. To see if the wine is unfiltered or cloudy, look at the wine from above the glass, place it over a white surface at an angle. Why swirl the wine in the glass before you drink it? To let it breathe a bit more after the initial pouring. Why do I want the wine to breathe before I drink it? Allowing the wine to be exposed to oxygen will bring out the best qualities of the wine after it has been in a bottle for a long period of time. Why decant a bottle of wine? Decanting a red wine will allow it to breathe and bring out all the good qualities of the wine after it has been bottled for a time. Why do I filter a wine? Filtering will remove the sediment that may have settled at the bottom of the bottle over time. Do I need to filter younger bottles of wine? If there are any signs of sediment in a bottle, it is always a good idea to filter it. When do I filter a bottle of wine? You can filter the wine either when you decant it or by the glass. What does it mean when there are "legs" in the wine glass? The legs are an indication of the level of alcohol, the viscosity, and general richness of the wine. The more legs to the glass of wine usualy means a higher level of alcohol concentration. Smelling the wine in your glass will reveal the complexity of the wine and may help you anticipate what your palate can expect. The "First Nose" is the first smell without disturbing the glass of wine. The "First Nose" is used to try to determine the grape varietal of the wine, such as cabernet sauvignon, syrah, chardonnay. The "Second Nose" is revealed after the wine has been swirled in the glass. The "Second Nose" will reveal the aromas and the bouquet of the wine. The aromas will help you determine if the wine is herbal, spicy, mineral, fruity, or floral. The bouquet of a wine refers to the smells that develop during the aging in the oak barrel or bottle. Bouquets are described as dried fruit, jam, wood, or earthy. The wine is acidic when it smells of lemon and freshness. The wine is described as complex if it is rich in flavours that are combined in subtle ways. A generous wine is one that is rich in alcohol—it is warm and strong. A high-alcohol wine is considered heady. A wine is described as oaky when there is a taste of toasted oak or wood, a taste of caramel, coconut or chocolate. A wine is thin when it is light or lacking in body. When a wine is smooth, easy to drink and low in tannins, it is described as supple. Aerating a wine in a carafe, or decanting a wine, will awaken the aromas of the wine; it will harmonize the overall taste and give the impression of well-rounded tannins; it will help evaporate any unpleasant odours that might have formed in the bottle, and it will reduce the quantity of sulphites in the wine. 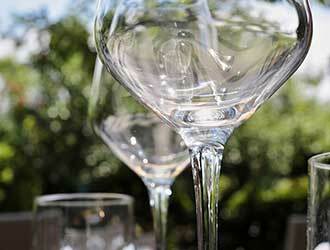 White wines should be served between 8 and 10 degrees Celcius. Red wines should be served between 16 and 25 degrees Celcius. Did you know there is a corkscrew museum in Italy? Pinot noir is the main grape in many sparkling wines. Dark chocolate and red wine are a great match. Sweet dessert wines go better with milk chocolate. At a restaurant, ask the sommelier to guide you through a progression of wines by the glass to go with your meal! On tasting his first sip of champagne, Dom Perignon exclaimed, "Come quick, I am tasting stars!" Dom Perignon was a blind monk. The top five major wine-producing countries are France, Italy, Spain, the U.S., and Argentina. Use your cellphone camera to snap shots of your favourite wine labels. This makes a great shopping tool when you are at the wine store. A great gift idea! Choose a local wine and present it with a map that gives directions to visit the winery. Did you know there are over 10,000 different types of wine grapes? Of the 10,000 wine grapes that exist, only 230 are used prominently. Screw-capped wines can age just as well as those sealed with cork. Looking for an original wedding anniversary gift? Select a wine with a vintage that matches the couple's wedding year. Canada is the largest producing country of ice wine. A magnum wine bottle holds the equivalent of two traditional-size bottles. Primitivo, aka Zinfandel, is prevalent in southern Italy; it is known for its spicy flavours of plum and other fruit. The best winemakers will tell you that wine is made in the vineyard. Syrah is known for its spicy blackberry, plum, pepper, licorice, and bitter chocolate notes. If you want to learn about wine, you have to experience it, taste it and keep tasting it. Red bordeaux usually comes from a blend of cabernet sauvignon and merlot—two strong red grapes that are ideal for pairing with red meats. All wines contain sulfites; sulfites are naturally occurring sulfur-oxygen compounds from fermentation. Any occasion calls for a special bottle of wine. Younger wines are fruitier, more acidic and more tannic. Older wines are matured, softened and well integrated. The process of turning grape juice into wine is called vinification. Appelations d'origine controlée is a certification regulated by French law that specifies where a wine can originate and what processing methods are acceptable. 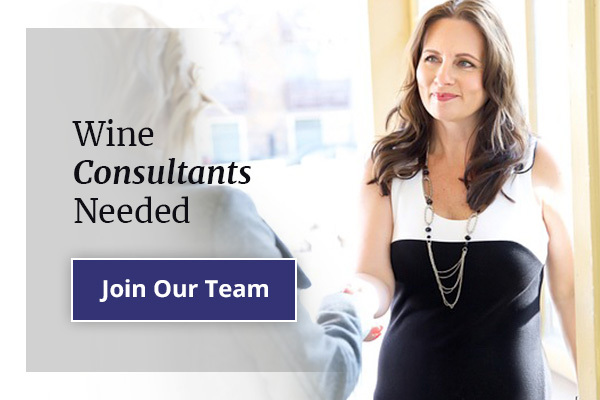 SommEvents specializes in creating wine events to foster team building, client retention and increase referrals for sales teams. From novice to seasoned wine connoisseurs we have an event tailored to your needs. At SommEvents we plan all aspects of your event and let you sit back and enjoy a glass of wine. We work with local Ontario wineries and wine importers to bring you wines from around the world. At SommEvents, you'll have the opportunity to experience wines that are not available at your local store.